Haiku Garden - Catch My Breath. 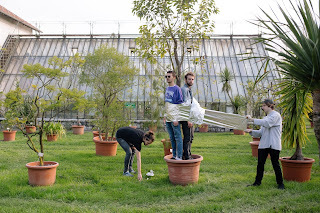 Hailing from Ljubliana, Slovenia's flagbearers of muddy guitar noise and dreamy vocals Haiku Garden proudly present their highly anticipated debut full-length effort. They play noisy, guitar-driven music, interlaced with poppy vocal harmonies. Shoegaze, dreampop, neo-psych and noise rock are all thrown into the equation. 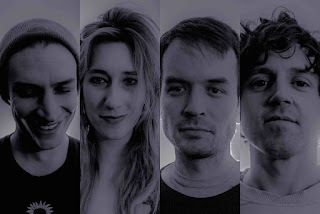 Since their debut EP Waver in 2016, with single “Rosetta” winning Song of the Day honors on KEXP, the band has run a long way: they already toured Poland, Czech Republic, Slovakia, Hungary, Serbia, Croatia, Lithuania and Austria, playing festivals all over Europe and opening for the likes of The Jesus & Mary Chain and SUUNS in 2017. Where If Not Now sounds very much like a cinematic experience, marking the sound of a fully fleshed-out band exploring, disintegrating and advancing their shoegaze foundation with abrasive, experimental, and even melodic approaches, imbuing their sound with a distinctive sonic signature. Chorusgirl - Lowland Hum - BLOW 3.0 - Twain - Faux Co.
London band Chorusgirl reveal their stunning new animated collage video for "In Dreams", which was created by renowned animator Ruth Barrett. 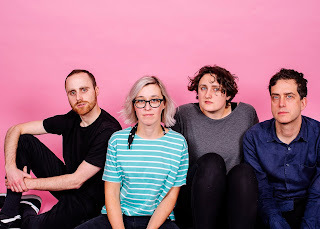 The track is taken from Chorusgirl's forthcoming second album Shimmer and Spin due out on 16 November via Reckless Yes. The band will be heading out on the road in November. The handmade stop motion video for "In Dreams" consists of an impressive 2500 manually cut out paper prints filmed using the strata stencil technique, an animation technique invented by Javan Ivey, and a further progression of the complicated strata cut technique first used by David Daniels. The video uses the red colour scheme of the album art for Shimmer and Spin and was inspired by the reverb-heavy shimmer of the band’s sound, rollercoaster rides, fireworks, dreams and all things spinning. Background - Chicago punk band Lifestyles take aim at Scientology on their ripping new single “Wail” that came out late last week. It’s out digitally now ahead of its physical release on 10/26 as part of a split 7” EP with Meat Wave, which their fellow Chicagoans No Trend Records is releasing on October 26th. The lyrics behind "Wail" came out of Lifestyles' endless obsession with cults and in this case specifically, Scientology. It's about how any written contract among friends or practitioners of a shared belief is inherently a negative and suspicious thing - if one requires a signed contract to prove trust, then that person is clearly indicating they have no trust. Frankie Davies - High On Love. 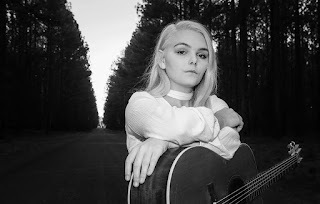 Background - Frankie Davies has shared the new video for her latest single 'High On Love' which sees Frankie meandering home ‘the morning after’ around her local streets with the gorgeous landscape of Jersey as a backdrop. Lauran Hibberd - What Do Girls Want? / Call Shotgun. Background - Fresh off the back of her heavily coveted single ‘Call Shotgun’, a release that landed her praise at The Line Of Best Fit, Clash, BBC Radio 1, 6Music as well as a spot as BBC Introducing’s Track Of The Week, Isle Of Wight native Lauran Hibberd returns with the release of her new cut ‘What Do Girls Want?’ out now via Be-Known Music. Continuing her brand of off-kilter indie-pop, ‘What Do Girls Want?’ channels the tongue-in-cheek lyrical flow of Courtney Barnett, as she soars through energetic guitar riffs and ironical content to deliver a wonderfully catchy return to the scene. With influences stemming from bands like Weezer, the frontwoman’s latest single is a stern slap in the face for conventional attitudes. Treading her own path in the industry, this latest release cements her as one of the most exciting and divisive new names in British’s indie music. Leonie Kingdom - So Much More. Background - So Much More is the second track from Leonie Kingdom’s debut EP Night Terror’s. So Much More is exactly how it sounds. It’s a song written to remind people that although times may feel unbearable and dark, you will get through it and there is so much more to keep going for. So Much More is about learning from mistakes and life experiences, learning and growing along the way.